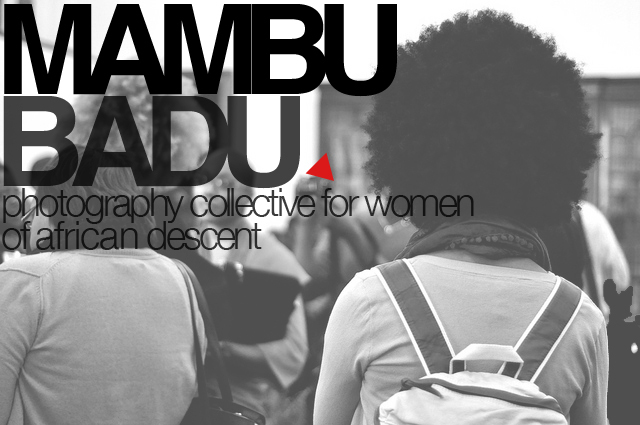 In this interview, I speak to 3 photographers: The founders of the Mambu Badu Photography Collective – they are Allison McDaniel, Kameelah Rasheed and Danielle Scruggs. A unique photography collective, these 3 women have organized to support, acknowledge and promote the work of other Black female photographers who often go unnoticed within this industry. Follow Mambu Badu on Twitter @mambubadu. DS: I was born and raised in Chicago and currently live in Washington, DC. I’m a photographer and on occasion, a writer. KR: I was born and raised in East Palo Alto, a small town of 30,000 in the Bay Area, CA. On July 4, 2010 I made the big move to Brooklyn, NY. I am a self-taught photographer – mostly documentary projects and portraiture in the US as well as abroad in South Africa. I am also a writer completing a series of interviews with NY-based artists like Dread Scott, Jamel Shabazz and Akintola Hanif. Last, but certainly not least, I am a high school world history teacher in Crown Heights, Brooklyn. AM: I’m originally from Roselle, NJ but call the DC metro area home (for now). I stumbled upon 35mm photography in 2001 and have been utterly obsessed since. I’m also a writer, Associate Editor of Recipes for Good Living Magazine and a Graphic Designer when I find the time. D&B: How did you all meet? DS: We met through Twitter, of all things. And it turns out Allison and I had a bunch of friends in common as we both attended Howard University and are both based in the DC area. KR: Twitter! In out own little Twitter worlds we were discussing the absence of something really needed – a collective of Black women photographers. Somehow we all ended up in one another’s timeline and started talking. It was all rather organic. We put plans in motions: mission statements, names, etc. Danielle and Alice were in D.C. at the time while I was still in CA. When I moved to NY, we finally met up and pulled everything together. We were really excited to take an idea (a wish) and see it blossom. It continues to be a blessing to see all of this manifest. We officially launched on September 20th, 2010. AM: What they said, haha… Social networking and a good dose of kismet. D&B: What inspired you to create the Mambu Badu collective? DS: Well, just speaking for myself, I noticed a dearth of Black women in magazines, books, blogs and gallery and museum shows I was seeing that focused on photography. I think it’s something all three of us noticed and rather than simply point out the problem, we decided to fill that space and part of the solution. KR: I had just finished my first two years of teaching and was trying to find my place in the photography community without a lot of guidance. There were limited shows, books, and online resources about Black female photographers. I remember spending hours online doing Google searches and sending emails. I figured that I could not be the only Black female photographer who sought support and desired a relationship with other emerging photographers. Mambu Badu came from a need to find other Black female photographers, to nurture this growing community, and to expose them to a wider audience. “Mambu Badu” is an adaptation of the Swahili phrase “Mambo Bado” which is loosely translated as “the best has yet to come.” We feel like this collective is about possibility and pushing boundaries. AM: I had spent a few years creating on my own until I transferred to SCAD-Atlanta in 2005 and found myself in a group of primarily Black women artists. It immediately became apparent how important creating community was, not just as an artist but particularly as a black woman photographer. You just don’t see yourself in the art world in the same way others do. Providing feedback and support for one another is instrumental to artistic growth; art isn’t created in a bubble. Linking with Kameelah and Danielle and hearing these same concerns echoed back to each other ended up manifesting a solution of sorts. D&B: What kind of activities do you do as a collective? How many members do you have? 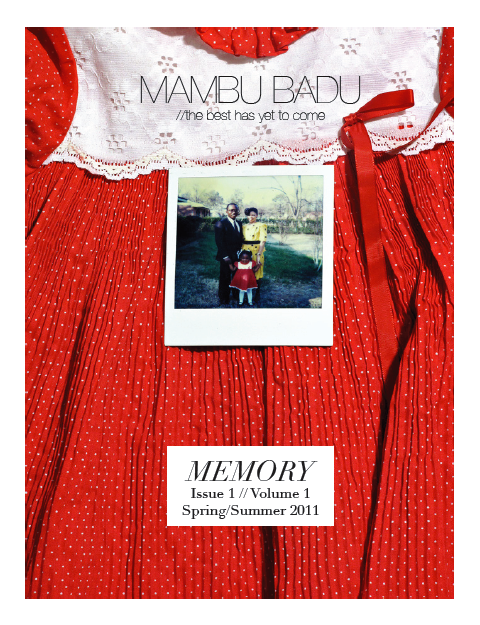 So far, we have created an interactive PDF Mambu Badu magazine and are planning another one. We also are in the middle of planning an exhibit and re-vamping our website so that it is more of a destination and resource for black women photographers. We really believe in our mission of finding, exposing and nurturing women photographers of African descent and we want to make sure we are providing resources and highlighting the work of those who submit work and get involved. We also are reaching out to other artists and figuring out ways of collaborating with folks who may use a different medium but have a similar spirit to Mambu Badu. Definitely be on the lookout for publications, more exhibits, and artist interviews as well. 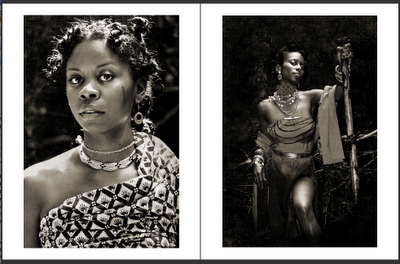 D&B: Are there any current female photographers of African descent whose work you admire? DS: Lorna Simpson, Carla Williams, Carrie Mae Weems, Myra Greene – those are the grande dames to me. I also really enjoy the work of Carla Aaron Lopez, LaToya Ruby Frazier (grateful for Kameelah for writing about her for the Liberator, I didn’t know much about her until then), King Texas, and Nikita Gale, who was in our inaugural issue. KR: There are so many: Renee Cox, Deborah Willis, Lorna Simpson, Carla Williams, Delphine Diallo (who also does collage), Lauri Lyons, Deana Lawson, Zanele Muholi, Samantha Box, Delphine Fawundu-Buford, Laylah Amatullah Barrayn, LaToya Ruby Fraizer, Nzingah Muhammad, and Ayanna Velissa Jackson all do great work. And of course, I really admire the work of the other ladies of Mambu Badu – Danielle Scruggs and Allison McDaniel. AM: Carrie Mae Weems and Deborah Willis are forever at the top of my list; I draw guidance in various ways from both. Jai Lovehall is up-and-coming and producing some really evocative portraiture work, Michelle Braxton, and Carla Aaron Lopez (keep your eye on her). Danielle and Kameelah are a constant; it’s wonderful to work with ladies whose work is a source of inspiration. D&B: Tell us about your online magazine. How do you choose the photographers you publish? DS: We just put out a call for entry and after all the submissions were in, we just looked through and picked out which pieces best illustrated our theme of Memory and just what we thought was really strong work. It was hard because some submissions we had that we didn’t pick were still great, but there was something else that just worked better. I have more empathy for curators now! KR: We want everyone to submit for our September call. The process was helpful for me as a photographer because for once I was on the other side of the table. I saw the importance of having both a great body of work as well as possessing the skills to edit out pieces that do not work well within a series. I also came to understand the difference between being a photographer and being a curator of sorts. D&B: What’s next for Mambu Badu? DS: As I mentioned before, we want to get into publishing, curate exhibits, collaborate with other artists, and really make our website a platform and go-to resource for Black women photographers. We’re really excited to see where this all leads. KR: In early July, we met in D.C. to backward plan for Mambu Badu. We will continue to publish the Mambu Badu magazine as well as publish a book featuring emerging Black female photographers. We will also regularly curate exhibits and hope to collaborate with like-minded organizations. The mission of our collective is to not only find and expose photographers, but to also nurture them. To that end, we will develop the Mambu Badu site as a resource complete with interviews, listings of exhibition opportunities and helpful articles. AM: Continued growth, expanding our reach, and fulfilling our mission statement in every conceivable way possible. See all photographer interviews on Dodge & Burn. Get updates on new photographer interviews plus news on contests, art shows and informed commentary on what’s happening with diversity in photography. Subscribe to Dodge & Burn Photography Blog: Diversity in Photography by Email. Follow me on Twitter @mestrich for more on photography and Like Dodge & Burn Blog on Facebook. Happy Chinese Lunar New Year!